Are all Babas and Mystics Fraud? This Blog and a recent book (The Babaji Affair) has a lot of matter on Babas and Mystics especially of the Nainital region. The following FAQs about it are therefore in order. I have read your book from cover to cover, and some parts twice. The storyline flows well, it is pleasant to read, and I enjoyed the experience. 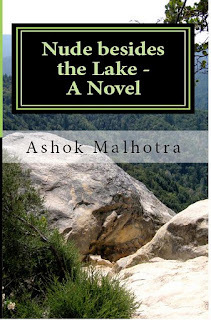 I spent my childhood summers in Naini Tal or Simla, and have very fond memories of those times. Neel Tal, where the story takes place, took me back there and the descriptions were reminiscent of Naini Tal before it experienced its own version of urban sprawl.